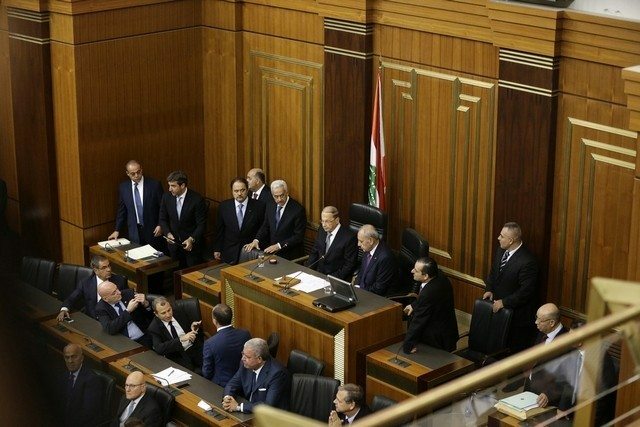 You are at:Home»Categories»Commentary»Will Lebanon put off parliamentary elections again? All the signs are that Lebanon, come May, will postpone parliamentary elections for a third time. Every time an election comes around, it seems, the deep divisions in Lebanon’s political class are revealed. The last parliamentary elections were held in 2009. Since then, the legislature has twice extended its term, in part because for a long time the country was without a president. This made elections impossible because, constitutionally, the president must designate a new prime minister after the end of voting. Today, the reason is more prosaic. The Lebanese political class is having trouble reaching a consensus over a new election law. The last two elections were held under versions of a 1960 law, according to which voting took place at the level of the qada, the administrative district below the governorate. The law, because it is based on a winner-takes-all principle, effectively favours traditional politicians. They are the ones who have the power to form candidate lists in those districts, and control the large voting blocs allowing them to get their candidates into parliament. However, after the 2009 elections the 1960 law was increasingly contested by leading Christian politicians. 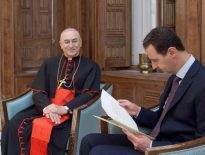 They felt that it created a system where a significant number of Christian candidates entered parliament on electoral lists headed by Muslims. So a few years ago, Samir Geagea’s Lebanese Forces party and Michel Aoun’s Free Patriotic Movement began a campaign in the Christian community to contest the 1960 law, and replace it with one that would, as they put it, improve Christian representation. Mindful of maintaining its relationship with Mr Aoun, who was elected president last October, Hizbollah also announced months ago that it was necessary to scrap the 1960 law and replace it with a new law for the upcoming elections. The party said that it would favour a law introducing proportional representation, a decision that was soon backed by Mr Aoun. Hizbollah’s tactic was based less on its concern for communal representation than on the party’s own broader interests. It was effectively responsible for perpetuating the void in the presidency between 2014 and 2016, and saw that effort frustrated when Saad Hariri, currently Lebanon’s prime minister, shifted his support behind Mr Aoun. Now Hizbollah recognises another opening to destabilise Lebanon’s institutions. By supporting an election law based on proportionality, Hizbollah hopes to do one of two things. 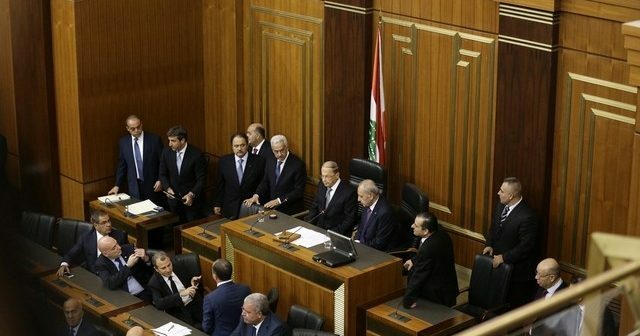 If such a law is adopted, its political rivals, above all Mr Hariri as well as the Druze leader Walid Joumblatt, would probably emerge with smaller parliamentary blocs, as the abolishment of a winner-takes-all system would allow some local rivals to gain seats in the constituencies they control today. In turn Hizbollah’s almost total control over the Shia community, along with its ally the Amal Movement, would make less likely the victory of many independent Shia candidates. On the other hand, if a proportional law is not implemented, Lebanon could return to a momentary institutional crisis. Hizbollah gains from this because whenever state institutions fail to function, the party can pursue its own agenda without interference from outside. 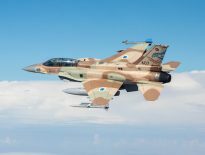 At a time when Hizbollah is heavily involved in Syria, and is being armed by Iran for a potential confrontation with Israel, such freedom of action is welcome. More perniciously, Hizbollah is perhaps seeking to undermine the current constitutional system put in place in 1990 and create momentum to have it replaced by one that gives the Shia greater representation. In that way Hizbollah could anchor itself, and its military force, in state institutions. It could then protect against any reversal of fortunes, as took place in 2005, when the assassination of former prime minister Rafik Hariri led to a popular uprising that brought about a Syrian withdrawal from Lebanon. A consensus is difficult today, because election laws determine political representation in parliament, therefore posts in the government, therefore the powers of patronage. However, one fallback idea that appears to be making headway is to adopt a hybrid law that combines proportionality with a winner-takes-all system. Because familiarising the country with such a law will take time, parliament may well vote in favour of a “technical delay” that would push elections until the end of this year, or early next. The consequences of a hybrid law are unclear. But what is evident is that any amendment to the current 1960 law will have to take into consideration the interests of the traditional political class to be approved by consensus. In other words those Lebanese who have long been clamouring for a replacement of the 1960 law as a step to breaking the monopoly of the sectarian politicians are bound to be disappointed. Beyond that, many Lebanese will look at the on-going disagreement over an election law as yet more proof that the political system is broken. This disgust, which is becoming more generalised, cannot displease Hizbollah, particularly if its ultimate aim is to reshape Lebanon in its own image.